​SAN ANTONIO – A trio of entrepreneurs has begun work on a new development that will replace a vacant lot immediately east of downtown San Antonio with a new entertainment destination. 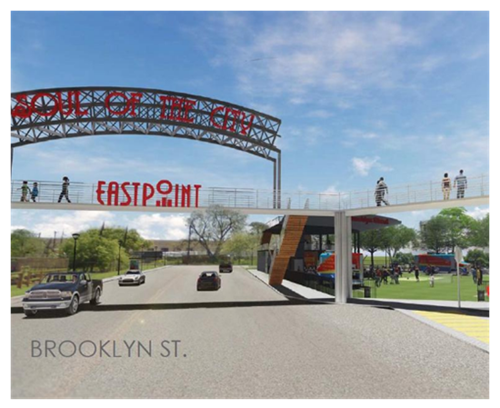 The Brooklyn StrEat Food Park project will house multiple food trucks anchored by a multi-level structure featuring a rooftop terrace built to accommodate live music acts, as well as other entertainment and community events. The total project cost will be about $2.5 million, including infrastructural improvements. The site for the planned development is an empty triangular lot bordered by Brooklyn Avenue, Live Oak St. and Burnet St.—just south of the Hays Street Bridge and near Alamo Brewery. Developers said the project is expected to be substantially complete before the end of 2017.